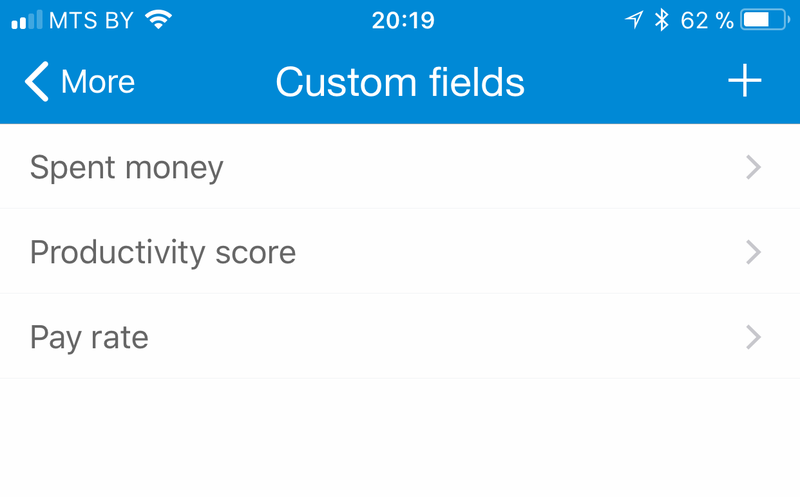 In TimeTrack 1.6, a new feature has been introduced - "Custom fields" (or just "Fields"). 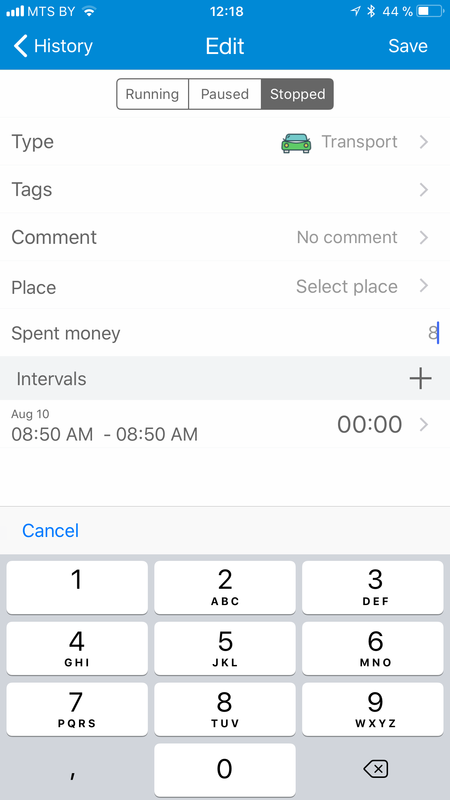 Logged activities contain start and finish times, tags/comment (optionally). Sometimes your records may need to include other important information. Examples are 'Money spent' on Shopping or 'Hourly rate' for Freelance/Consulting. 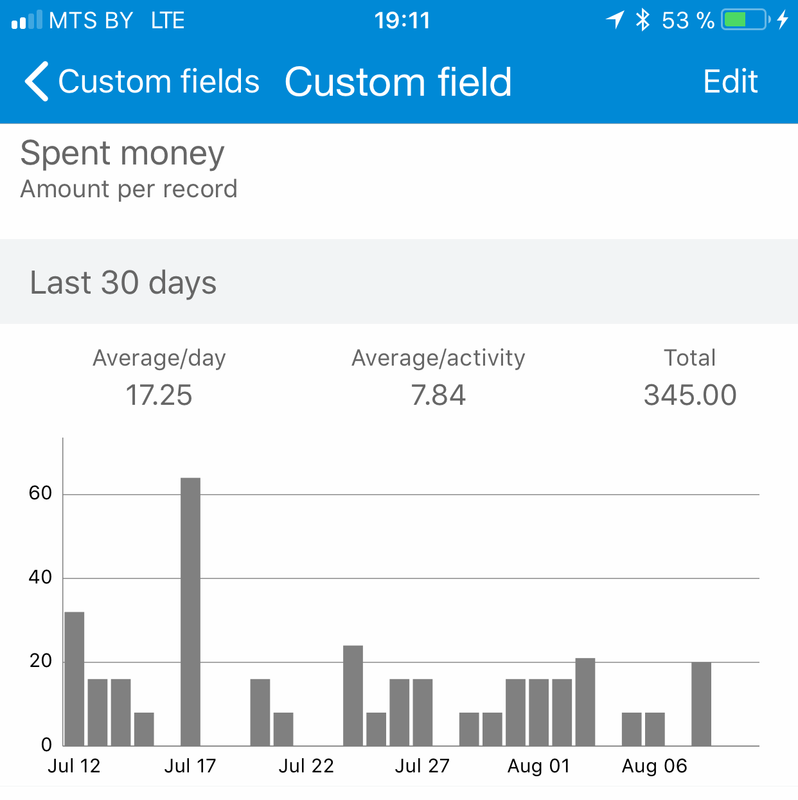 The new 'Custom Fields' feature allows the user to record additional information and then build reports utilizing this additional information. 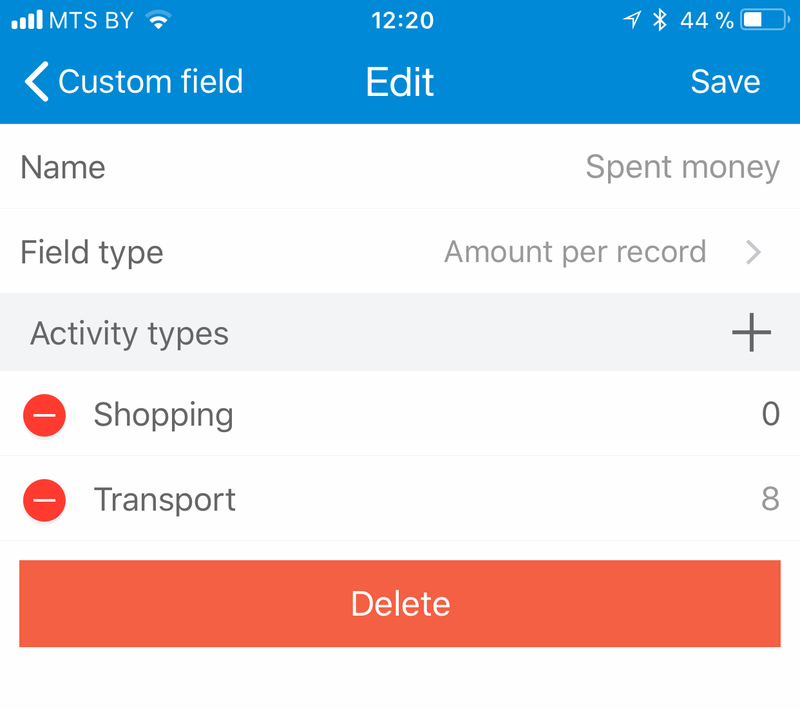 To use the feature, the user needs to create actual custom fields. Go to the Fields screen on More tab and press on "+" in the top right to see the "Edit Field" screen. 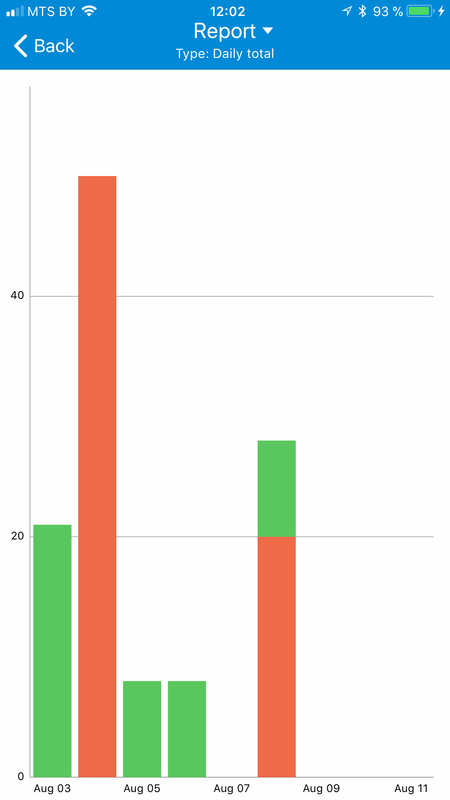 There are 2 types of fields: per duration and per record. Example of "per duration" field is "Hourly rate". If you are a freelancer and your hourly rate is $20/hour for your services, then you can calculate your earnings and send a report to a customer. 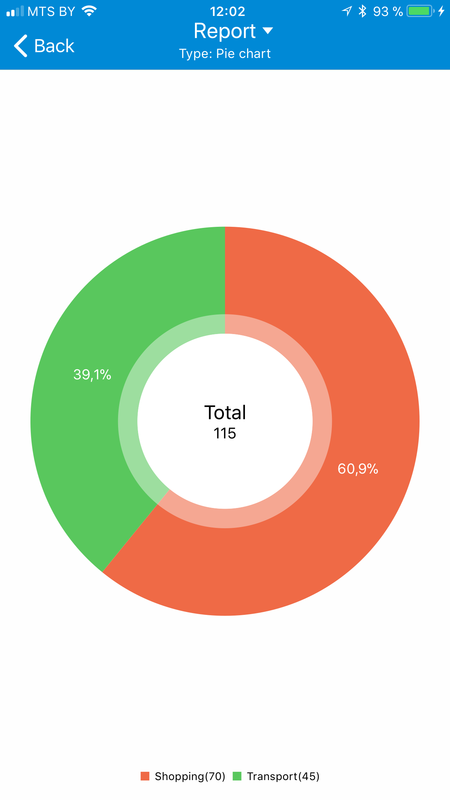 Another example is productivity score - you can calculate how productive you are. An example of the "per record" field is "Money spent". Say, you went shopping and spent $30, then you went home by taxi and paid $10. In total, you spent $40. Other examples: amount of water you drunk, gym achievements such as your pull-up count. 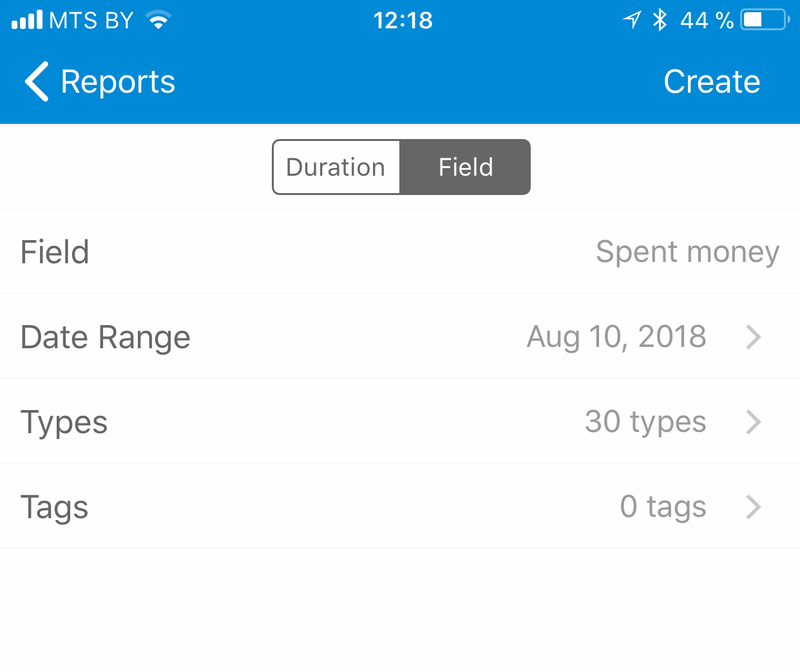 To build a report for a custom field, go to Reports, switch to Field, then select field, date range and types. After pressing on "Create", you can see Total, Pie and Daily statistics. The report can also be exported to a CSV file.